What is going on now with GBP/JPY? GBP/JPY: The British Pound is back at the same price point as per yesterdays analysis but this time it's trying to break to the upside. 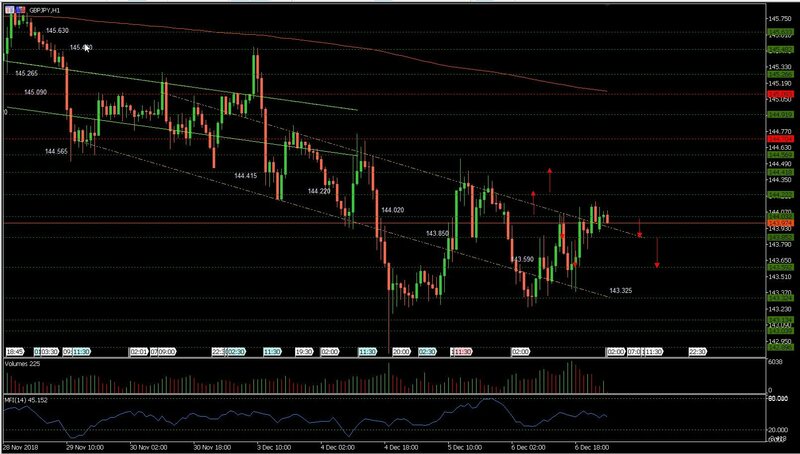 The pair fell in yesterdays session below 143.850 as indicated in yesterdays update and took out all estimated short positions at 143.850, 143.590, and 143.325. GBP/JPY: The British Pound recovered during the overnight session and made two runs to the upside in the 60 minutes price chart. The second run to the upside began from 143.590 support and had pushed prices out of the price channel to the upside. The pair currently trades at 144.090 just above 144.020 support with a double bottom and could break to the upside if it holds at 144.020 support. If it fails at 144.020, then we expect the pair to repeat the cycle and head down to 143.850 and 143.590 support. 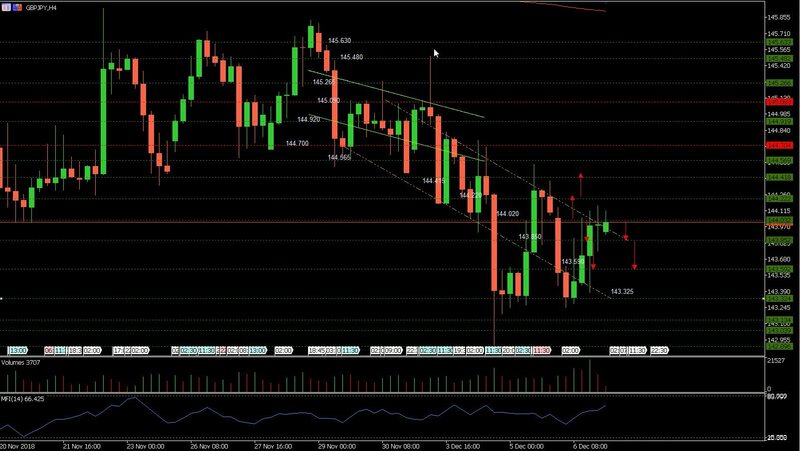 We explain the market movements and its potential next move to help and guide you to possibly make the right decision on when to enter, apply stop losses to protect your capital, take profit and exit your position.